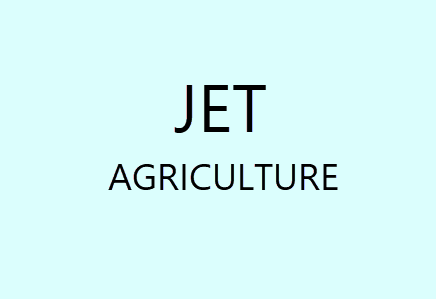 ICAR AIEEA is an entrance examination for Agriculture. ICAR AIEEA is the abbreviation. The exam will be conducted by JNT University Kakinada. Andhra Pradesh Engineering, Agriculture, and Medical Common Entrance Examination will b held on behalf of APSCHE. The exam is conducted once in a year. The admission will be offered in agricultural courses to various colleges and universities. It is a national level exam which is conducted once every year. The exam of ICAR AIEEA 2020 might be conducted in an online mode. To appear for the entrance exam, the aspirants need to register and submit the application form online. Through AIEEA UG 2020, the candidates are offered admission in courses such as B.Sc (Hons) Forestry, B.Sc (Hons) Community Science, B.Sc (Hons) Agriculture, B.Tech Food Technology, etc. This entrance exam targets the government as well as private institutes in the state. In this article, the ICAR AIEEA details such as dates, application form, eligibility criteria, etc. are mentioned. Students are informed to read the all details carefully before proceeding to the filling of online application form. ICAR AIEEA 2020 Application form will be available from the first week of February 2020. The last date to submit the application form will be the third week of March 2020. The application form can be filled and submitted before the fourth week of April 2020. Candidates need to register themselves by filling their basic required information. Candidates have to make the payment of application fee. Students can also correct the mistakes made by them in a given period. Application fee can make through online mode by the credit card/debit card & net banking. Nationality: Students who are of Indian Nationality or OCI (Overseas Citizen of India) Card Holder or PIO (Persons of Indian Origin) are eligible to apply for ICAR AIEEA 2018. 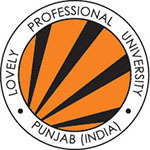 For Engineering, B.Pharmacy (M.P.C), Pharma.D, B.Tech. (Dairy), B.Tech. (Ag. Engineering), B.Tech. [Food Science and Technology (FS & T)], B.Sc. 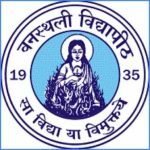 [Agriculture Engg] courses. Candidate must be a citizen of India national. Aadhaar card is mandatory except Jammu & Kashmir, Assam and Meghalaya state candidates. Those applied for Aadhaar card and haven’t received it yet, can enter the 16 digit number given on the enrollment slip. Such candidates are also eligible to apply. Age: Candidate’s age must be 16 years as on 31st August 2020. Qualifying Exam: Candidates must have passed 12th standard from a recognized board/university. Marks Required: Candidates must have 50% marks in 12th standard if they belong to general/OBC/UPS category and 40% marks if they belong to SC/ST/PC category. Age: Candidate must have minimum 19 years of age as on 31st August 2020. Qualifying Exam: Candidates must complete their education in the pattern of 10+2+5 (B.V. Sc. & A.H)/10+2+4/10+6/10+2+3. Marks Required: Candidates must have minimum 6.60/10,3.25/5,2.60/4 grade points if they belong to General/OBC/UPS category. If candidates belonging to SC/ST/PC category, they must have minimum 5.60/10, 2.75/5, 2.20/4 grade points. ICAR AIEEA 2020 test pattern includes some questions, marking scheme, type of questions and subjects, etc. The exam pattern gives details about all the overall nature and format of the question paper of ICAR AIEEA 2020. ICAR AIEEA 2020 will be conducted in offline mode only. As per the marking scheme of ICAR AIEEA 2018, each objective type question carries one mark, and there is no negative marking in case of wrong attempts. Marking more than two options is considered wrong even if one of the options is correct. The question paper of ICAR AIEEA 2018 is divided into three parts, i.e., Physics – 40 questions, Chemistry- 40 questions and Mathematics – 80 questions. Mode of Exam: Exam will be conducted through offline mode. Subjects: Physics, Chemistry, Biology/Agriculture, Mathematics. Type of Questions: There will be MCQ’s in the examination. Language: Questions will be in Hindi and English. Total Marks: 180 questions will be asked in the examination. Maximum Marks: There will be 720 maximum marks in the examination. Marking Scheme: Candidates will get four marks for the right answer of one MCQ. Negative Marking: Candidates will lose one mark of wrong MCQ answer. Candidates will neither get nor lose any mark for unresponsive questions. Type of Questions: There will be MCQ’s and cross-matching questions in the exam. Total Questions: There will be 160 questions in the examination. Total Marks: Exam will be of total 650 marks. Marking Scheme: Candidates will get four marks for the right answer of one MCQ and five marks for matching answer (1 mark for one pairing). Negative Marking: Candidates will lose one mark of wrong MCQ answer and two marks for each cross-matching sub-question. Candidates will neither get nor lose any mark for unresponsive questions. Make an effective time management strategy. Gather all study material which is relevant to your syllabus. ICAR AEE is the examination that needs a lot of practice and needs to improve day-by-day. ICAR AIEEA has the vast syllabus, and therefore students are suggested to study every day a fixed amount of time. The syllabus of ICAR AIEEA 2020 carries all topics from Physics, Chemistry, and Mathematics, from where the question paper of ICAR AIEEA 2020 is set. Plant Biotechnology: Photosynthesis, Development, Respiration and Transpiration, Elements of Economic Botany, Proteins, General Structure and Function of Carbohydrates, Nucleic Acids, Structure and Metabolic Functions of Carbohydrates, Genetic Engineering, Dry Matter Partitioning, Harvest Index of Crops, DNA Replication, etc. Physical Science: Principle of Nutrient and Water Management, Structure and Function of Plant Cells, Periodic Classification of Element, Fats and Liquids, Weathering of Rocks and Minerals, Causes of Poor Aeration, Classifications, Soil Classifications, etc. Agronomy: Proteins, Sugarcane, and Their Management, Physiological Limits of Crop Yield and Variability about Ecological Optima, Integrated Farming Systems, Principles of Crop Ecology and Crop Adaptation, Economic Importance, Medicinal & Aromatic Plants, Water Management, etc. 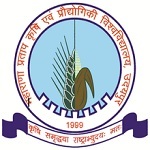 The admit JNTU releases card of ICAR AIEEA 2020 in April 2020. The hall ticket of ICAR AIEEA 2020 is available online, and candidates can download it until April third week, which is the last date for downloading it. ICAR AIEEA 2020 hall ticket is an important document, and no test taker will be allowed to take the entrance exam with possessing a valid admit card. The admit card of ICAR AIEEA 2020 carries essential information about the candidate and the exam, like candidate’s name, roll number, test time and venue, etc. ICAR AIEEA 2020 admit card will be released in the second week of May 2020. Candidates can download the admit card by filling the required details, i.e., registration number and password. Candidates must bring the copy of self-attested to admit card with a valid ID proof to get the entry in the examination center. Candidates who will not carry their admit card will not be allowed to enter the examination hall. 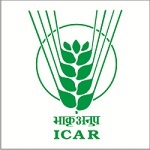 Every care will be taken to avoid errors in the evaluation, checking, scrutiny, tabulation, and ranking.ICAR AIEEA 2020 result will be declared in the first week of June 2020. Candidates can download their result with the help of their registration number and password. 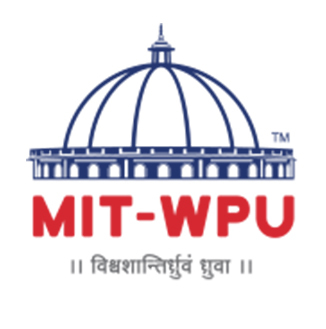 A subject- wise merit list will be prepared based on the marks secured by the candidates in the entrance examination. In case of the tie, candidate older in age will get the priority in the merit list. The qualifying percentage of marks for the ICAR AIEEA-2020 is 25% of the maximum marks considered for ranking. However, for candidates belonging to Scheduled Caste and Scheduled Tribe, no minimum qualifying mark is prescribed. But their admission will be limited to the extent of seats reserved for such categories (vide G.O.Ms. No. 179, LEN&TE, dated 16.06.1986). For the process of ICAR AIEEA, 2020 Counselling candidates need to pay Rs. 2000 to the ICAR which will be refundable to those candidates who will not get a seat during the counseling process. For those candidates who will get the seat during counseling, this amount will get managed in the course fee of the institution. ICAR AIEEA Counselling is held for qualifying candidates of ICAR AIEEA, which includes document verification, applying, choice filling and seat allocation in web-based mode. The counseling procedure is done for the qualified candidates of ICAR AIEEA, by their Merit in ICAR AIEEA. It is informed to the students that they should keep safe the Filled in Online Application Form until the process of admission gets over. The admit card and the scorecard must produce by the student when they called for verification of documents. The Information Booklet for ICAR AIEEA 2020 counseling will be released on the counseling portal. Candidates those will not take part in the process of counseling cannot participate in ICAR AIEEA 2020 admission procedure. Candidates who qualified the process of counseling will be eligible for the process of admission. Candidates have to submit their admission fee within the stipulated period. Candidates will produce their original documents at the time of the admission process. If candidates do not pay their course fee, their candidature will get canceled and the seat will be allotted to the next candidate in the merit list. If candidates have any query regarding the ICAR AIEEA 2020, you can ask us by leaving your comment below.